In July 2013, the Prime Minister launched the Disability Confident campaign, led by the Department for Work and Pensions, to help employers become more confident about employing disabled people and recognising the value they bring. Two years on, this innovative campaign has won the support of 376 employers, including Sainsbury’s, Marks & Spencer, Barclays, Airbus, National Grid and Fujitsu. It also has cross-party backing, with 15 MPs hosting their own Disability Confident events during 2015. 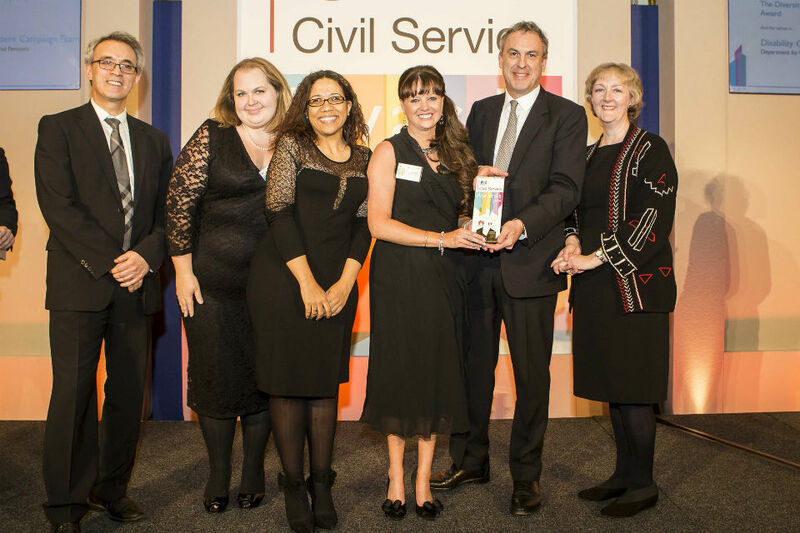 The campaign has won a number of awards, including two Civil Service Awards and the Chartered Institute of Marketing award for Best Public Sector Campaign. The Government’s ambition is to halve the gap in employment between disabled and non-disabled people, which currently stands at 33%. With more than half of disabled people who are not employed saying they would like to work - and a pool of talent we are neglecting - there is clearly much we can all do. Companies that don’t include disabled people as either customers or employees could be missing out on a massive £212 billion in annual spending by households with at least one disabled person. But all organisations can benefit from having a more diverse workforce that better reflects the audiences it serves. The last Government made some good progress. Over 3.2 million disabled people are now in work, with the employment rate increasing by 2.5% last year. As the campaign enters its third year, we would like all government departments to sign up to Disability Confident and help spread the message that making a small change can make a big difference – and big changes an even bigger difference. Already this week, we have seen great Tweets from departments, including DfE, DCLG and BIS, as well as communications to staff by others including DfT and FCO. The Government already offers a range of support for disabled workers and employers – for example, the Mental Health Support Service, Access to Work and the new Fit for Work service. DWP is also allocating more than £43 million over the next three years to pilot services that support people with health conditions. DCMS are investing the rollout of superfast broadband to rural areas, estimated to enable around 7000 more disabled people and carers to participate in work. What can your department do? But what can your department do as part of this great campaign – to lead by example as a Disability Confident employer? So far, 68 Disability Confident partners have pledged to make a real difference in helping disabled people into work, and many speak about the benefits to them. For instance, that colleagues with disabilities “add real value”, “demonstrate perseverance” and “a strong ability to manage challenges in the business environment”. Great initiatives by Disability Confident partners include Barclays using its ATM network to raise awareness of the campaign, reaching 14.4 million customers. The Chartered Institute of Public Relations published an accessible guide to communications, which it sent to 11,000 communications professionals. Airbus held a disability awareness week for staff, using ‘market places’ to showcase technology that makes workstations more accessible. There is much more we can do in government. All departments should make sure their system for handling reasonable adjustments is really first-rate: there is a new central workplace adjustments team (based in DWP) that can provide support here, including running an end to end service for departments that want it. We can help our line managers become Disability Confident – for example, by posting case studies, tips and advice on our intranets. Issues like mental health, speech impediments and autism all need more attention and understanding. We can hold events with staff and make a pledge to do more to support disabled people into the Civil Service. Above all, this year, let’s show we have the enthusiasm, energy and drive to help more disabled people get into work - for the benefit of those individuals, the economy and the Civil Service as a whole. Meanwhile, back at the farm, disabled Civil Service employees are disproportionally represented in those judged to be poor performers or not met, meaning that they are placed under performance improvement measures and at risk of losing their jobs. Sounds great but why is the Disability Employment Adviser job, a vital link in this chain being reduced to such an an extent that it has become at best ineffectual, and all too often non existant. Disability Confident - The theory is very good but like a lot of theories does not hold up in the cold light of day. The term Disability covers a wide spectrum of conditions. Some disabilities have minimal impact and only minor adaptions are required others need an employer to make significant investment to enable a particular problem to be overcome. When DWP cannot find the resources to assist its own staff with disabilities is it really in a position to provide advice to others. One would have a deal more respect for such self-congratulatory articles if their representation of disabled people didn’t invariably suggest comparisons to one’s sister’s pet labradoodle. Instructive though: Had I but read such matter before past job interviews, I might have focussed less on my experience, qualifications and ability to perform with distinction with the right equipment, and instead invited my appointment on grounds of its benefit to the employer’s soul, morale and moral superiority: And who knows what might have happened. Great idea, unfortunate approach. "All departments should make sure their system for handling reasonable adjustments is really first-rate: there is a new central workplace adjustments team (based in DWP) that can provide support here, including running an end to end service"..!!!!! If only we practised what is preached. So many of the systems we have were not even tested for compatibility for AS users and it is now officially recognised that many of the IT systems we use are not compatible with Dragon, JAWS etc. Many AS users have/are experiencing huge frustrations, negative impact on health and lack of support. I am appalled at how we can promote assisting disabled workers when DWP are so bad at it. We don't even employ experts in the field. Many years ago I had support from Hands Free Computing who were amazing. They made naviagtion around systems as smooth as possible by building complex macro's and were on the end of the phone for advice as and when required. Please bring Hands Free Computing back on board if we are to stand half a chance at coping with our in house systems.